For hundreds of years, the sea has been catching the attention of people from all over the world. So it is not a surprise that people have started practicing all kinds of water activities, including sailing. However, it is important to stress that breaking into the sailing world can be challenging as there is a lot of information to grasp in order to be successful. 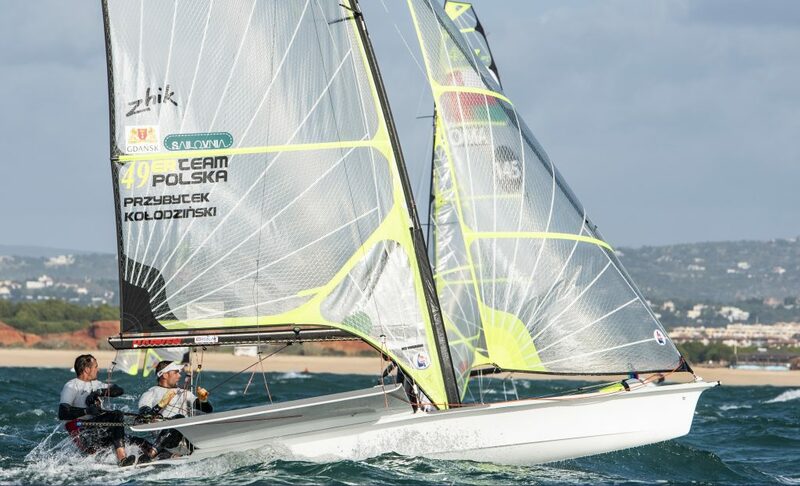 The question that arises is how to learn sailing? Whilst learning the basics of sailing will not take too long, learning how to sail like a professional can take years. However, once you catch that sea bug, there is no getting rid of it. To be able to fully enjoy the experience of sailing, it is important to keep in mind that sailing is more than just a sport. Sailing is a lifestyle. If you’re advanced or just curious about the other sailing topics, here are some awesome articles: ‘Safest Caribbean Islands And The Ones To Avoid‘, ‘Brisihs Overseas Territories And Their Future‘ or ‘Top 10 Sailing Movies‘. In case you’re a beginner, this article is perfect for you. WHAT YOU NEED TO KNOW BEFORE GOING ON BOARD? HOW TO MANEUVER THE SAILBOAT? Before even stepping on board a sailboat, you need to get familiar with everything boat-related. First of all, you should consider attending a sailing course. 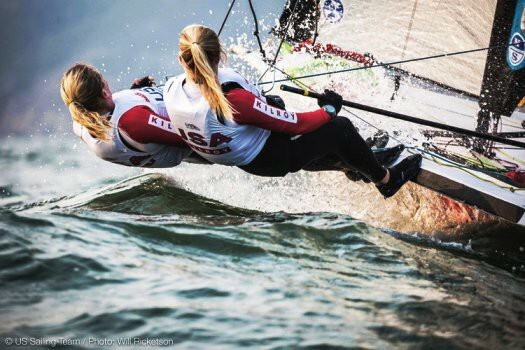 Professional instructors can teach you all the sailing basics that you need to know. It is usually not allowed to begin sailing without taking a course or without showing basic knowledge. There are also lots of books for beginners in sailing. They can help you and inspire you to start your sailing adventure. Another term that could be added to the list is the sheet, i.e. rope that is used to adjust the sails. Next, it is important to dress properly. When it comes to clothing, be a minimalist. The weather on the sea can be quite unpredictable and you need to take into account that you are surrounded by water which can very quickly become your worst enemy. Due to the possibility of a strong wind, it is best to dress in layers and always wear a lifejacket. Invest in clothes that is waterproof as well as non-slip shoes. Furthermore, always wear a swimsuit underneath, avoid wearing excessive jewelry and don’t forget to apply sunscreen. You will also need gloves for handling the rope. Other than that, it is important to pack the essentials, such as food, water and some extra clothes. After you’ve learned all things boat-related, it’s time to step on board of your sailboat and start your sailing adventure. 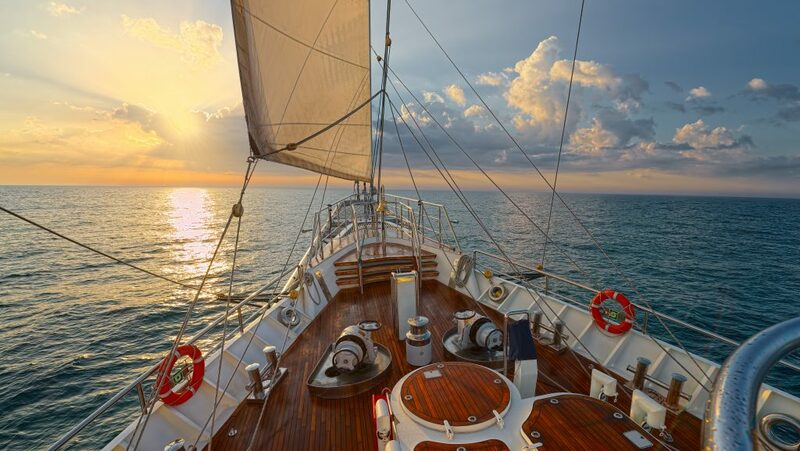 When learning how to sail, choose calm, uncrowded waters. Remember that it is good to practice in the perfect conditions before sailing in waters full of traffic. Don’t go for the largest boat you can find – start with a small boat. Then work your way up to the larger ones. Also, start with a boat only rigged with one sail as this will make learning the basics much easier. It is vital that you follow all safety procedures. There are certain safety precautions that should be taken when sailing, no matter how experienced you are. Therefore, you should always inform someone you are going out into the water. Also ensure that you have a flotation device with you – just in case. And, of course, you need to know how to swim. Before you go out into any water – to practice or to sail – you should always do your research on the weather conditions. 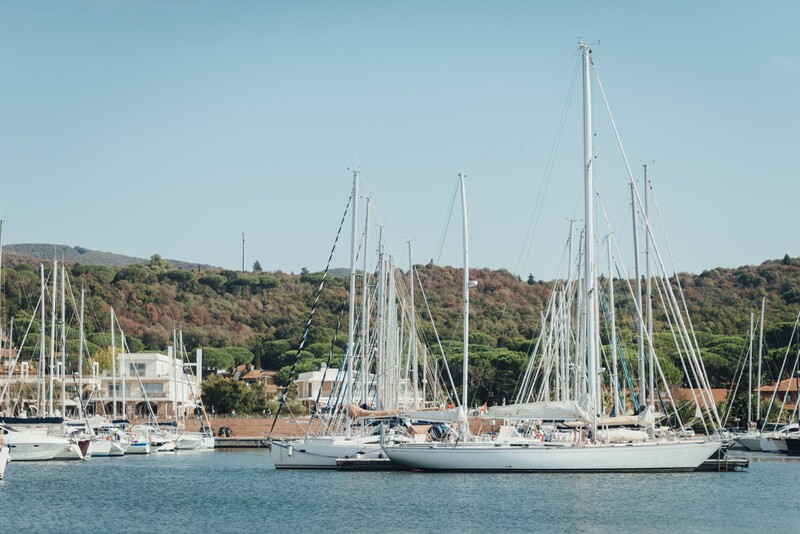 This way you can prepare accordingly – the first thing you should know about sailing is to always be ready. One of the scariest things that you need to do is to capsize on purpose. The possibilities of capsizing are extremely high when sailing and you should be prepared for the worst. Also, it is better for you to practice capsizing in a controlled and safe environment. That way you can be ready to do the right thing when it happens unexpectedly. 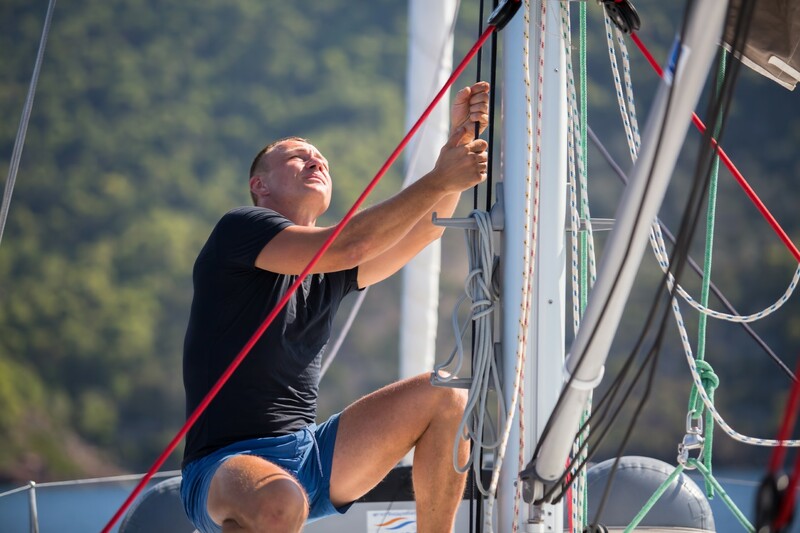 There are a few technical steps that you need to master in order to learn sailing. First of all, you should know how to adjust the sail settings in order to take full advantage of different weather conditions. The name for adjusting the sails using the sheets is trimming. Trimming is done to create the best shape for the direction you are sailing in. The most important, basic rule when it comes to your sails is that the closer you sail towards the direction of the wind, the tighter you will have to pull your sails. Also, the further you sail from the direction of the wind, the less you pull on the sails. When you decide to learn how to sail, one of the most important lessons to master is that of how to steer the boat. After all, you won’t get far if you can’t steer! Two main parts of a boat that do the work in steering are the tiller and the rudder. You can think of a tiller as a steering wheel of the boat, while the rudder would be its tire. As the boat starts to move, you need to ensure that you sit on the side that the wind is blowing over. This is important as the wind will sit against the sails and your weight will be needed on the other side to get the boat to move in the right direction. Steering can be difficult as it tends to go the opposite way from you. If you wish to go right, you will need to steer the tiller to the left. In the same way, if you desire to move starboard, you will have to move the tiller to port. This will make sense once you learn the mechanics of the boat and how the rudder is hinged – which you will learn during your sailing lessons. Another important thing to know when learning to sail is to understand which way the wind is coming from in relation to where the boat is. Ensuring that your boat is positioned in the correct place in relation to where the wind is blowing is crucial to how you set off and position the weight of the boat. One of the best ways to see where the wind is coming from is to tie small pieces of yarn to the boat’s shrouds in order to see which way they are blowing. After you’ve established the direction of the wind and you’ve gotten familiar with steering, you need to learn how to maneuver the boat. 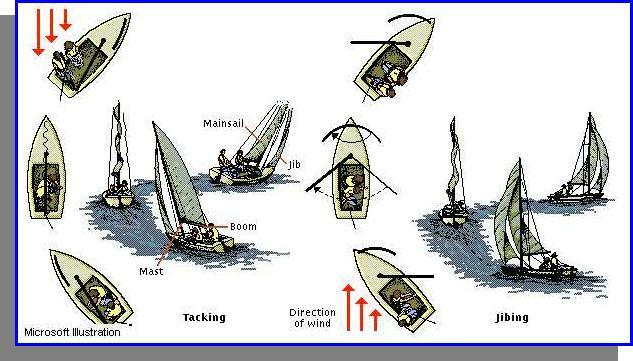 First of all, it is important to know that a sailboat can’t move in the direction from which the wind is blowing. 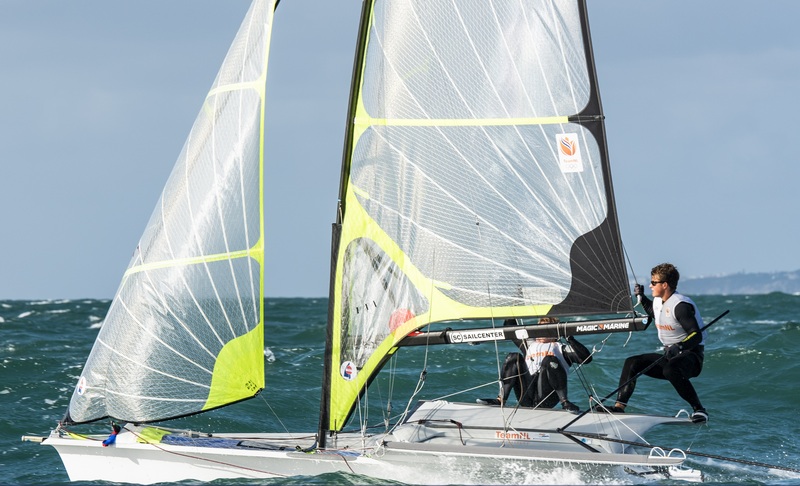 To be able to become a master of the wind and reach the desired destination, you need to learn two most important sailing terms – tacking and gybing – and then you need to learn how to perform them. 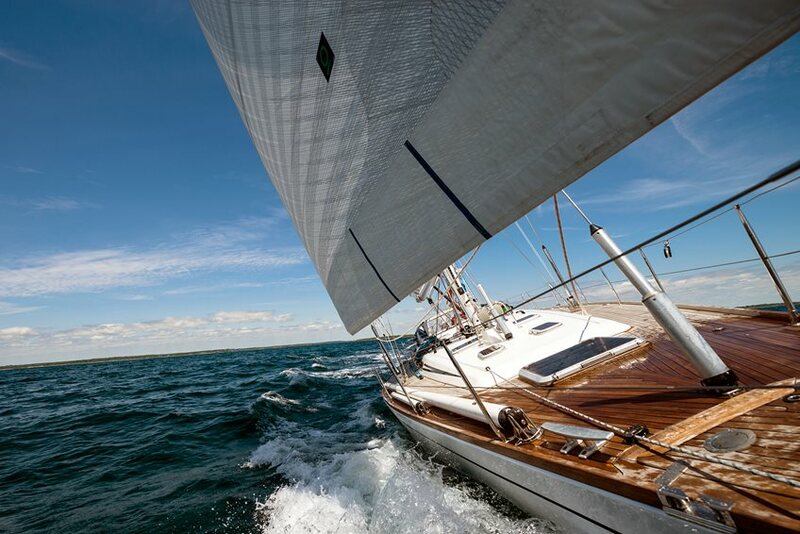 To change the tack of a sailboat means to change its course according to the direction of the wind – you begin sailing into the wind, but since that’s impossible, you need to tack back and forth, i.e. constantly cross the wind to be able to move. When tacking, you will perform a series of zigzagging, i.e. turning the bow of the sailboat through the wind. You will need to move from one side of the boat to another because you will change the position of the sails. The boom of the mainsail will go from one side of the hull to another making a 60 degree turn. On the other side, when you’re sailing down the wind, you can perform gybing, i.e. you can change the course by turning the back of the boat through the wind. With this action, your sailboat will move in a circle. When a sailboat jibes, the mainsail and its boom suddenly change their position from one side of the boat to another (a 180 degree turn). It is important to stress out that gybing can happen unexpectedly and that you can get injured if you get hit by the boom. So be careful! You will do lots of tacking and gybing when sailing on board of a sailboat, so arm yourself with patience because it won’t be easy! Once you have learned and understood these four main skills, you are well on your way to becoming a professional sailor – the world really is your oyster. Until then, be patient, persistent and remember that practice makes perfect!